Smart electrified funtestdrive tour showing Fortwo Electric Drive across U.S.
SmartUSA is touring the Smart Fortwo Electric Drive around the U.S. starting this weekend with an appearance in Los Angeles, and ending in Chicago in July. The Smart fortwo Electric Drive is not quite on sale yet, but in the meantime ChargePoint and Smart have teamed up to create the funtestdrive. The funtestdrive is a tour of the U.S. offering an opportunity to experience the electric Smart fortwo. It begins this weekend, in Los Angeles, and continuing until July 6-7, in Chicago, hitting 11 major metropolitan areas along the way. The tour starts with an appearance in Santa Monica from April 19th to the 28th. Following that appearance the tour goes to Portland OR, San Francisco, San Diego, Dallas, Atlanta, Miami, Washington DC, Hoboken, Brooklyn and Chicago. Each appearance will feature test drives, marketing information, and a contest to win a Smart fortwo Electric Drive car. To participate one must register on the website (see link below). In addition to the Electric Drive model, they'll have internal combustion models available for test drives. 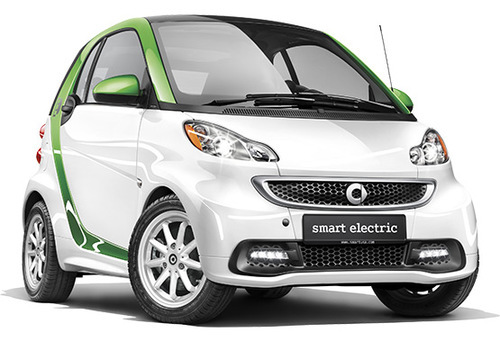 The Smart fortwo Electric Drive is the electric version of the Smart fortwo. It is rated for 107 MPGe combined (122 MPGe city, 93 MPGe highway), and a driving range of about 68 miles. The battery pack is located below the passenger compartment, acting to improve stability. Reportedly, it will be offered with a battery leasing option when the car goes on sale shortly. Pricing is expected to begin at US$25,750 and US$28,750 for the Soft Top Cabriolet. Sales in the U.S. and Europe is to start in the 2nd quarter 2013, and Smart plans to make it available in 30 countries worldwide. Does 4.6 billion Smart car loss point to electric vehicle demise? Electric Smart Fortwo to have battery leasing option in U.S.